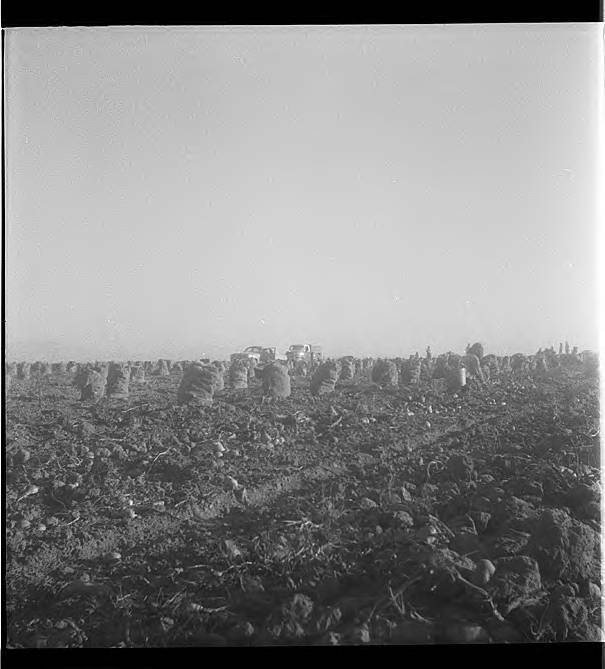 Black and white image of a bare field with bags of potatoes standing throughout. Workers can be seen in the background, with a car and a side panel pick-up truck parked nearby. Museum records identify the people in the image as members of a group of 'potato pickers,' most likely migrant workers. Migrant farm labor has been an important part of agriculture in Washington County since the early 1900s, though the cultural groups which provide the majority of the laborers have changed over time.